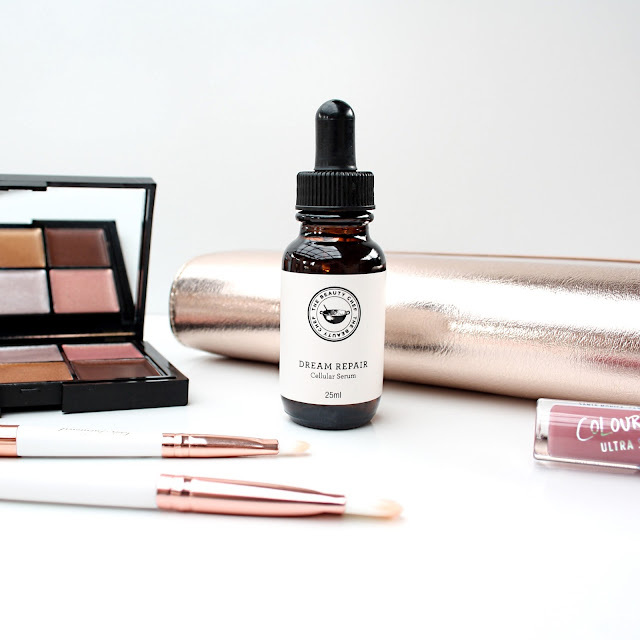 I have long wanted to try The Beauty Chef's Inner and Outer beauty products, so I was super excited when their Dream Repair Serum arrived on my desk. 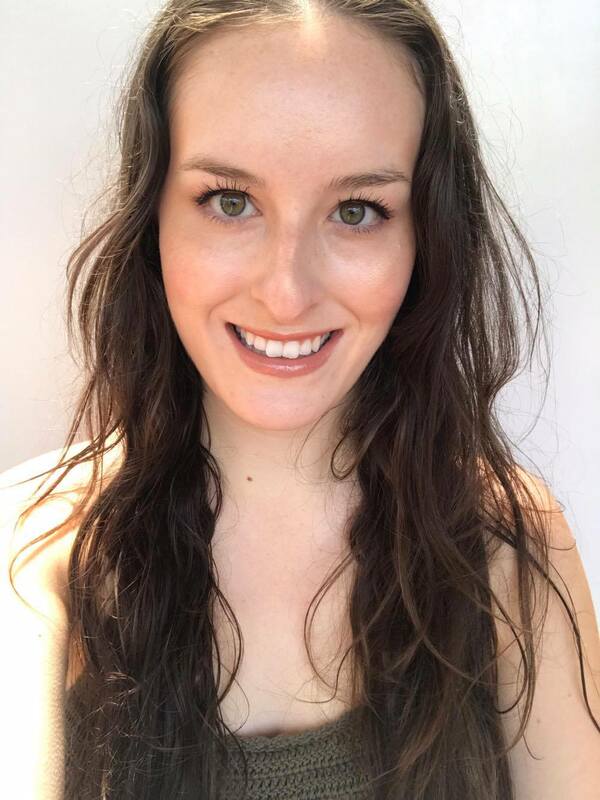 Today I am going to share my thoughts on this serum as I have been testing it out for several weeks and have been loving it! The Beauty Chef's Dream Repair Serum contains more than 15 powerful ingredients, offering a high level of antioxidant cellular repair as well as boosting collagen production, for a smoother, healthier and more radiant complexion. This serum is like a green smoothie for your skin! It contains microalgae to increase collagen production, and plant oils to rejuvenate and feed the skin antioxidants. It is lightweight, but deeply hydrating thanks to the camellia, jojoba and rosehip base oils, and sinks into the skin quickly. I use this oil underneath my moisturiser for an extra boost of moisture without the greasiness. This oil is lightly floral scented, and is a golden colour. The pipette it comes with makes it easy to use as little as you need ie: drop by drop! Full ingredients: camellia oleifera (camellia tea†) seed oil, rosa canina (rosehip†) fruit oil, simmondsia chinensis (jojoba†) seed oil, glycine soja (soyabean†) oil, tocopherol (vitamin E) (and) glycine soja (soyabean) oil, caprylic capric triglyceride (and) cylindrotheca fusiformis (algae) extract, hippophae rhamnoides (sea buckthorn†) berry extract, persea gratissima (avocado†) fruit oil, macadamia ternifolia (macadamia†) nut oil, helianthus annuus (sunflower†) seed oil (and) calendula officinalis (calendula†) flower extract, oilcymbopogon martini (palmarosa†) oil, squalane (and) solanum lycopersicum (tomato) fruit extract, pelargonium graveolens (geranium†) leaf oil, helianthus annuus (sunflower†) seed oil (and) rosmarinus officinalis (rosemary†) extract, rosa damascena (rose otto) flower oil, geraniol*, citronellol*, linalool*(*Natural constituents of essential oils, †Certified Organic). I love this serum and love how healthy and glowy my skin looks when I use this serum regularly. I would recommend it to anyone wanting to add an antioxidant and hydrating boost to their skincare routine. 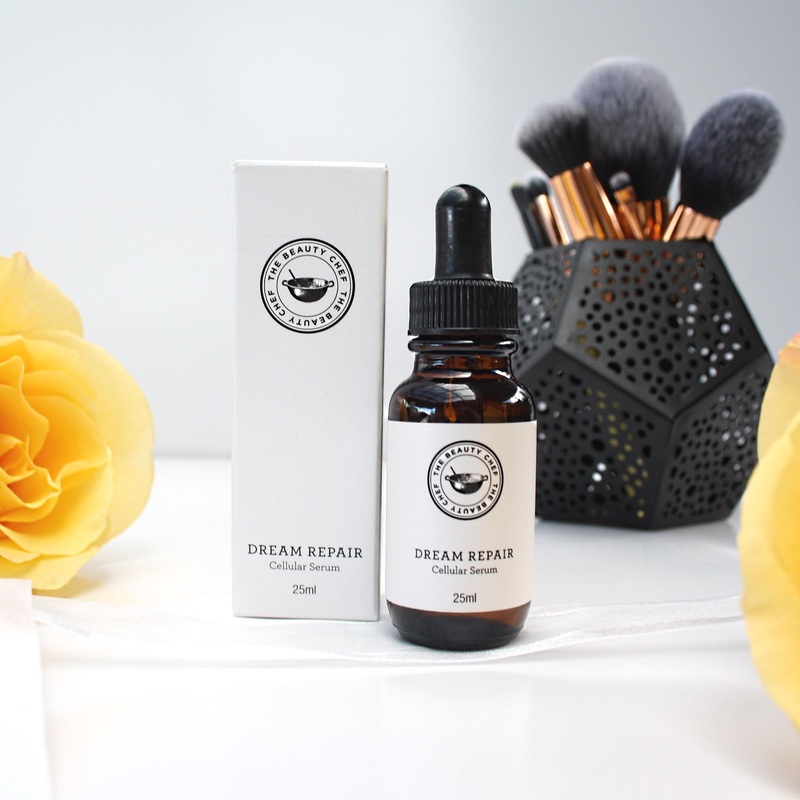 To purchase The Beauty Chef Dream Repair Serum, head to their website. Wow! Hope I could try that, too!